We’ve talked about augmenting plants with electronics. What about building plants from scratch -- that is, designing a machine to replicate a leaf’s ability to use solar energy? With recent contributions from two research teams, from MIT and Champaign, IL, an artificial leaf is closer to reality than ever. As they taught us in middle school, plants use energy from sunlight to turn carbon dioxide and water into oxygen and chemically-stored energy, in a process called photosynthesis. Scientists don’t necessarily want to recreate photosynthesis as such, but they’re very interested in what happens during it: The breakdown of water into H2 and O2 provides hydrogen fuel, while processing carbon dioxide can create hydrocarbon fuel. Getting usable fuels from just sunlight, water, and greenhouse gases -- which we want to get rid of anyway -- has been a scientific pipe dream for years, and the Cambridge and Champaign research brings it closer than ever. Working on the CO2 side of things are Richard Masel (Dioxide Materials) and Paul Kenis (University of Illinois Urbana-Champaign), who head a team of chemists that is refining the process of one of the first steps of hydrocarbon fuel production. Converting carbon dioxide to carbon monoxide takes a lot of energy, usually in the form of high electrical voltages; in the revised process, an ionic liquid solvent reduces the necessary voltage by a factor of 10. Meanwhile, the research team headed by Dr. Daniel Nocera at MIT (we talked about them in March, but now we can tell you what they’ve actually been doing!) has created a three-layer silicon solar cell that splits water into hydrogen and oxygen, using catalysts that are bonded to the silicon. Sunlight-created charge carriers transfer electrons from one side of the cell, and one type of catalyst, to the other, where either oxygen or hydrogen molecules are produced. The resulting H2 can be stored for use as fuel later, while the oxygen can be just released into the atmosphere. Of course, both processes are still slow and rather inefficient -- problems that have plagued the field since its beginning. 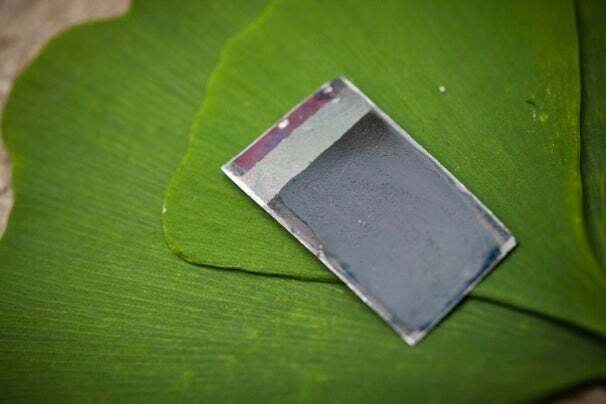 But it’s still in its early days, and the working models can be used as inspiration for optimization experiments -- now that there’s an example of a working hydrogen-generating solar cell, other researchers can refine the structure and the chemistry of the device. Maybe someday soon we’ll have artificial leaves powering our cyborg plants!